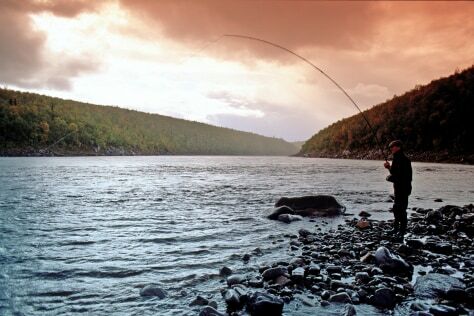 In the Ponoi River, in Kola Peninsula, Russia, you can fish for Atlantic salmon from a 42-mile stretch of this 250-mile-long river, where an average of 200 salmon are caught each week. Stay at the Ryabaga Camp and enjoy five-course dinners. Prices from $6,000 a week, all inclusive.